As much as 90 percent off certain games. 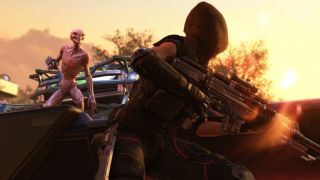 Green Man Gaming’s Summer Sale is a short-term clearance that boasts discounts of up to 90 percent on a range of games, not to mention the likes of XCOM 2 being sold for less than half price. The latter is easily the pick of the bunch deals-wise, which means you can—so long as you sign in/sign up for a free account—nab Firaxis’ turn-based strategy affair for £16.79/$28.79. Offworld Trading Company is another gem going for £11.99/$15.79; while EVE’s Core and Premium Starter Packs are shifting for £3.29/$4.29 and £12.79/$21.29, respectively. There's loads more—the full list of which can be viewed in full on the Green Man Gaming site itself. The Green Man Gaming Summer Sale is live now until August 1, 2016.